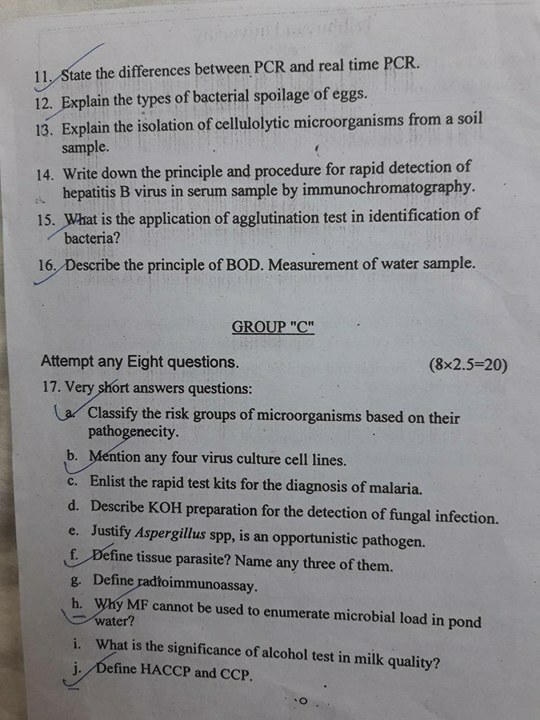 BSc. 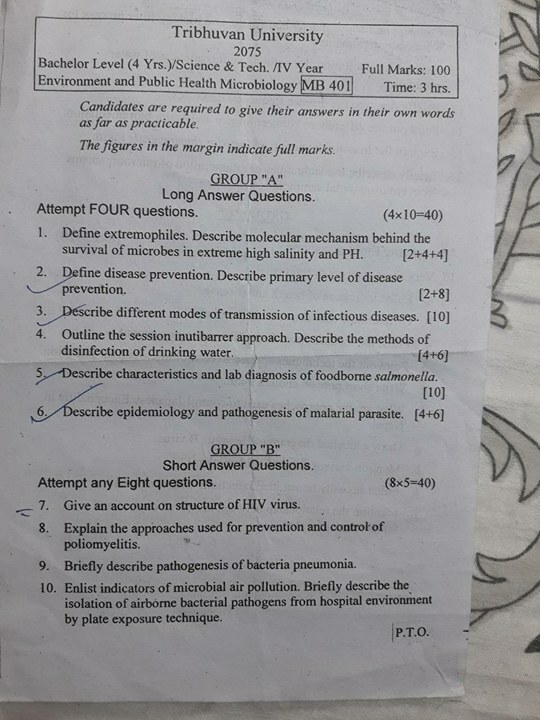 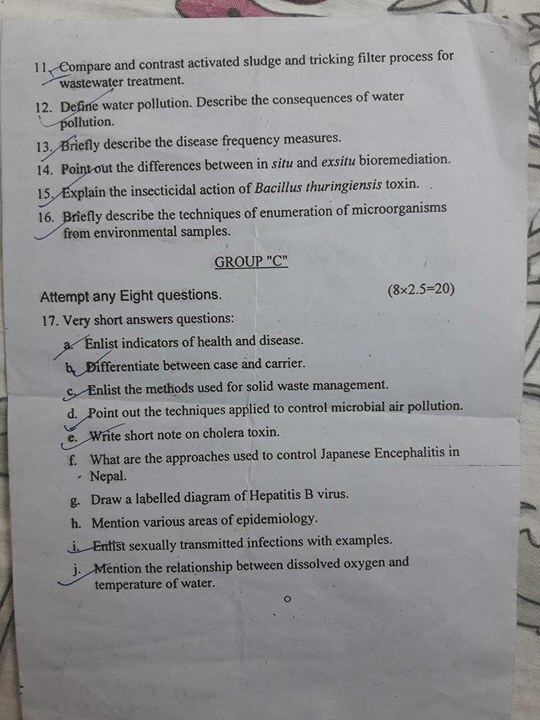 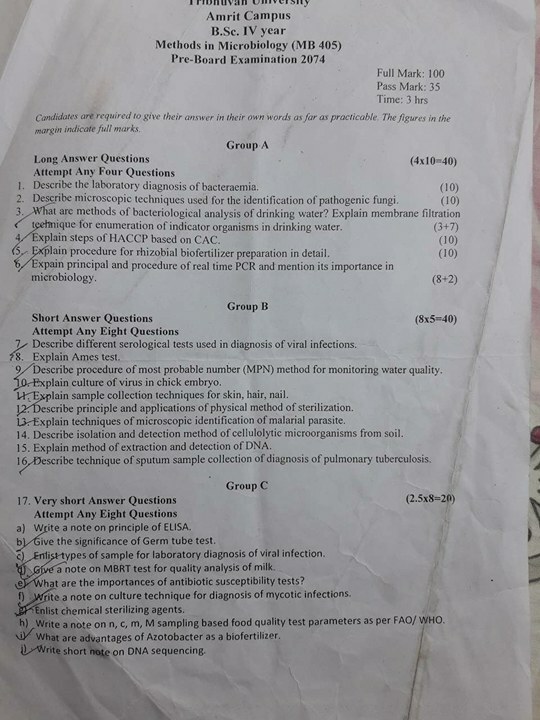 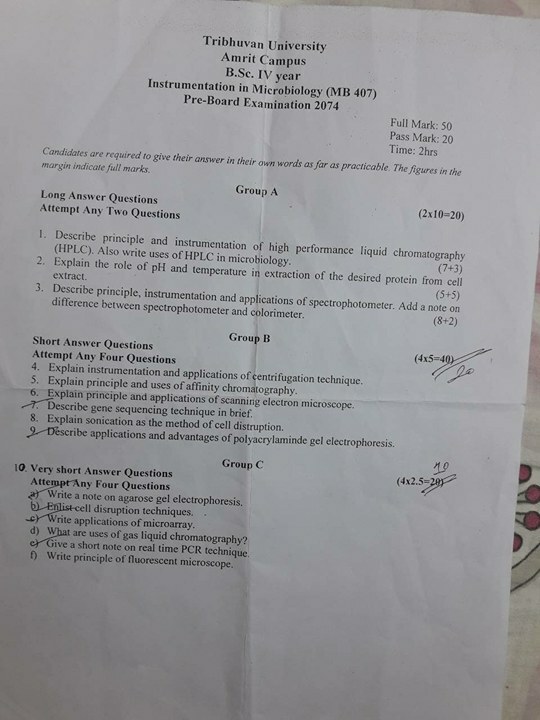 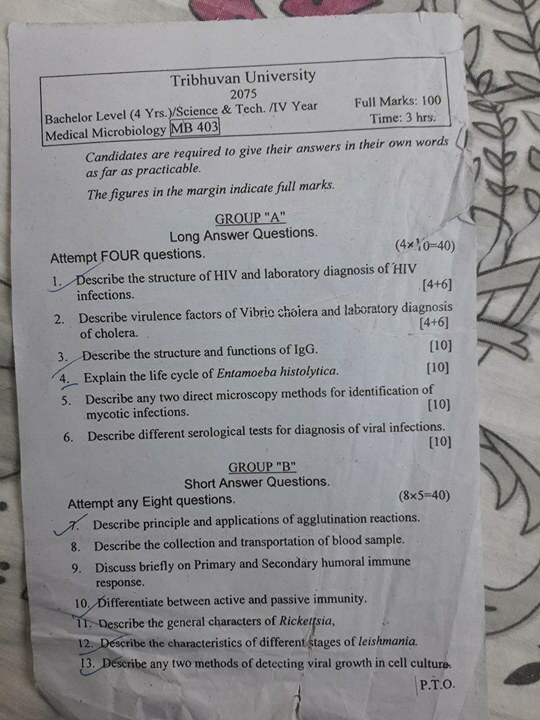 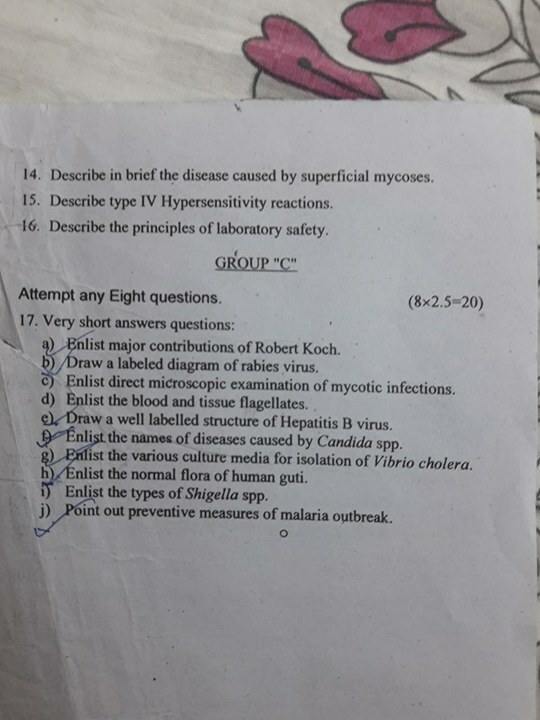 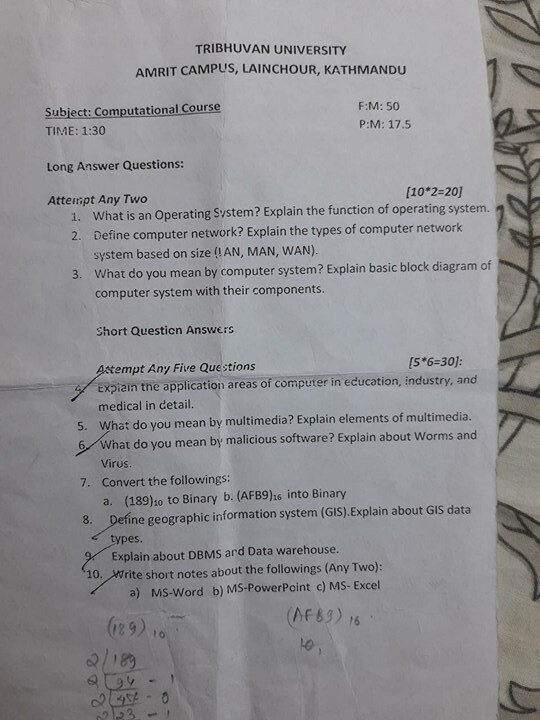 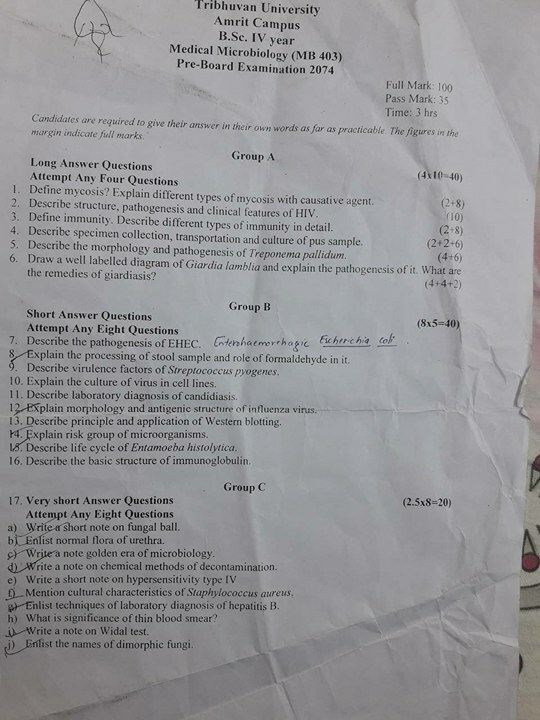 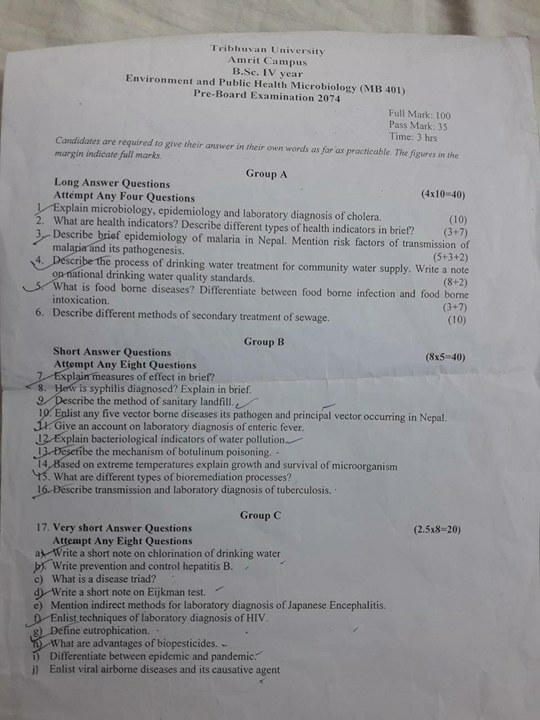 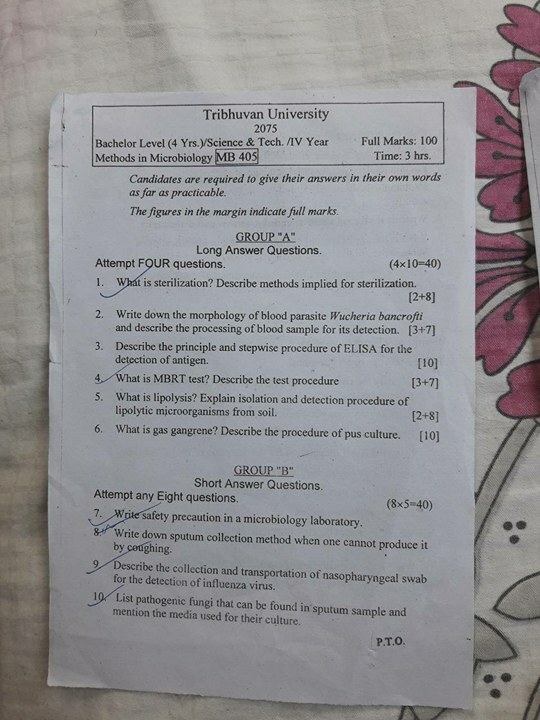 Microbiology Tribhuvan University Nepal Board Exam Paper Collection 2074/75. 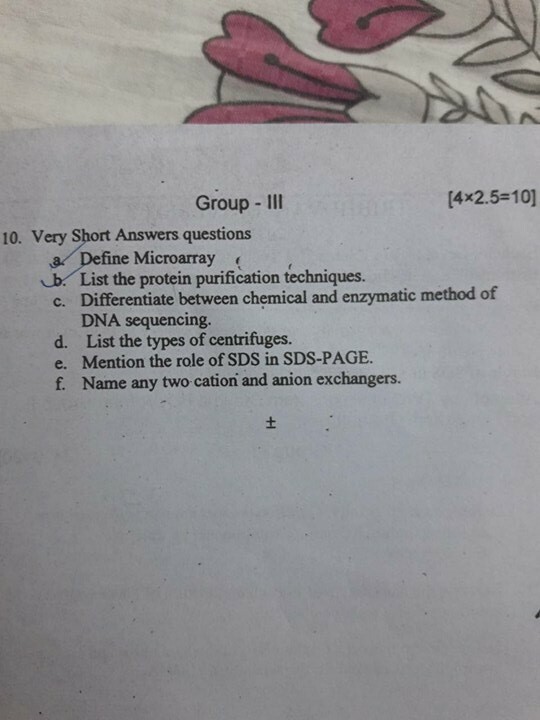 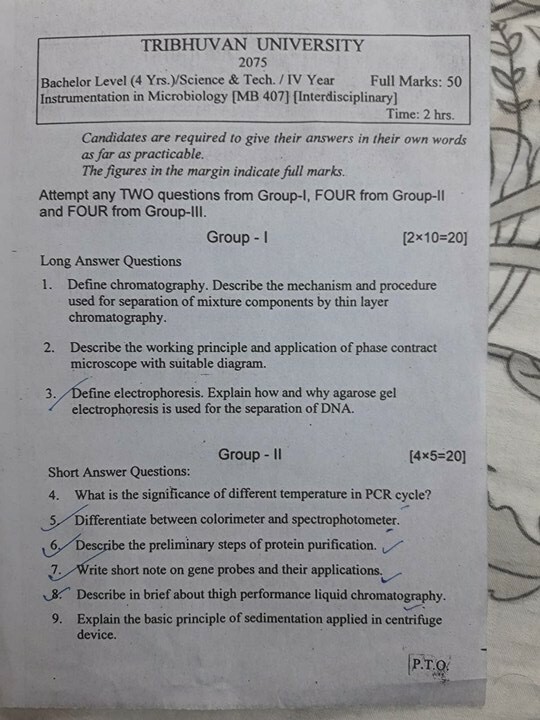 Disclaimer: These question papers are posted here for easy access to the student of microbiology who searches for past questions.